Remember these beauties from last Fall? They were $650 and sold out at JCrew! Well, I guess JCrew re-ordered too many or better yet, maybe there were a number of people like me who realized that they couldn’t stomach the price tag no matter how fab they might look on. Well, guess what!?!?! I got a pair a few weeks ago. Mine are black. How you may ask? My good friend JT to the rescue. JT’s good for helping me spending some dough! A JCrew sale email popped up in her inbox one morning and like the dutiful friend she is, when she saw that the seqin harem pants were on sale for $199 she emailed the link to me and insisted I buy them. (She knows me well and knew I’d regret it if I let these suckers get away). It didn’t take much arm-twisting for me to let my fingers do the walking over my keyboard to the “purchase” button on JCrew’s website. Do I LOVE them? YES! Were they worth the wait? YES! Would I feel this way if I had paid $650+tax/shipping? No way. Good lookin’ out JT! 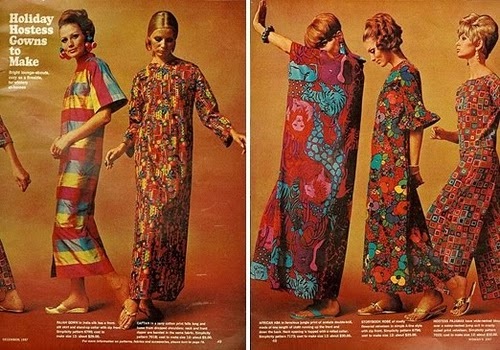 A few months ago, one of you wrote in and asked about the perfect hostess outfit for the holidays and I said “CAFTANS”. I know there were a few raised eyebrows out there, but believe me what goes around comes around. You can’t tell me that a modern version of one of the caftans above wouldn’t look darling on you as you lounge around the pool on your next vacation or host your book club at your humble abode. As recently as a few weeks ago, I wrote about my love of caftans on PLUS SIZE GLiTZ when I road-tested one by eShakti. I admit it, I’m a little bit disco – ok, well a lot – but hey, you might be too! Try one, you might like it . . .
A Million Stars Leggings from APARTstyle ($149). ’Tis the season to be sparkly! They’re not the sequin harem pants from JCrew, but they are much much more affordable . . . Hmmm . . . What do you think? Them other girls don’t know how to act . . . 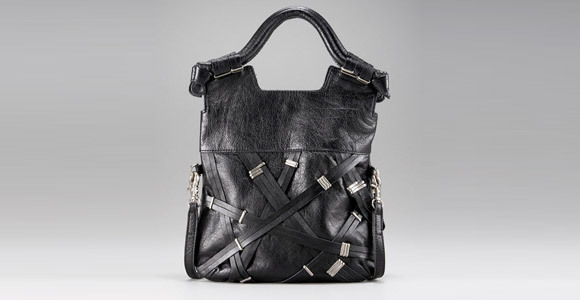 This is Foley + Corinna’s Grand Cross Body Disco Bag ($245). I swooned when I saw it. It’s hip, it’s cool and the hardware just took me over the edge. I’m a sucker for a good looking utilitarian tote bag. And I think Foley + Corinna makes a great quality bag; I still adore my Jetsetter bag! And as we’ve discussed a million times before, I’m partial to a little embellishment. What do you think – would you carry this bag? JCrew Does It Again . . . The Sequin gods are working overtime at JCrew . 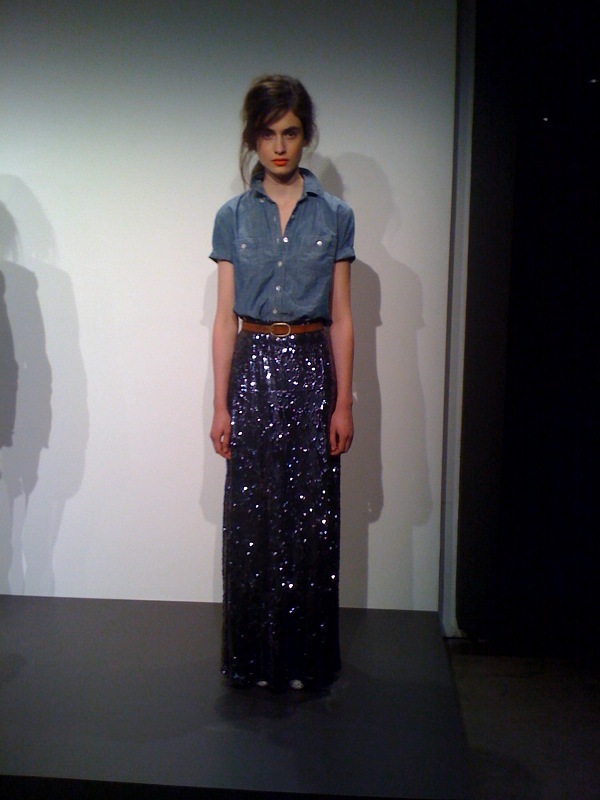 . . Spring 2011, the sequin maxi skirt makes it debut. I don’t know if this will be a limited edition item like their sequin harem pants or not, but I’m thinking this skirt may have a bit more longevity than the harem pants in my wardrobe. Disco Divalicious! It’s no secret that I love a little sparkle here and there. The more I think about it, the more I realize I need to embrace the 70′s Disco Diva inside of me. But I digress. These sequin harem pants are from JCrew. Can you believe it? I’m diggin’ them and would love to own a pair. I can see myself wearing them on one of my dress down days hanging out in Tribeca. Oh, but did I mention that they’re $650? But wait, here’s the kicker, the JCrew website states, and I quote, “This item has been very popular and has sold out. Call one of our personal shoppers—they’ll work their magic to try and find it for you or add you to a wait list should it come back in stock.” Hmm …. What would you do?